authentic reflections of growing up at the dawn of the 21st century. 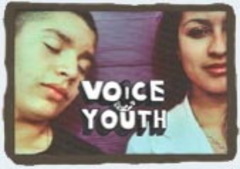 It's another special dispacth from Michoacan Mexicco brought to you from Voice of Youth. "Moorland" - ever heard of that place? It's the infamous neighborhood, just outside our city's limits, where Alma and Mariela live.